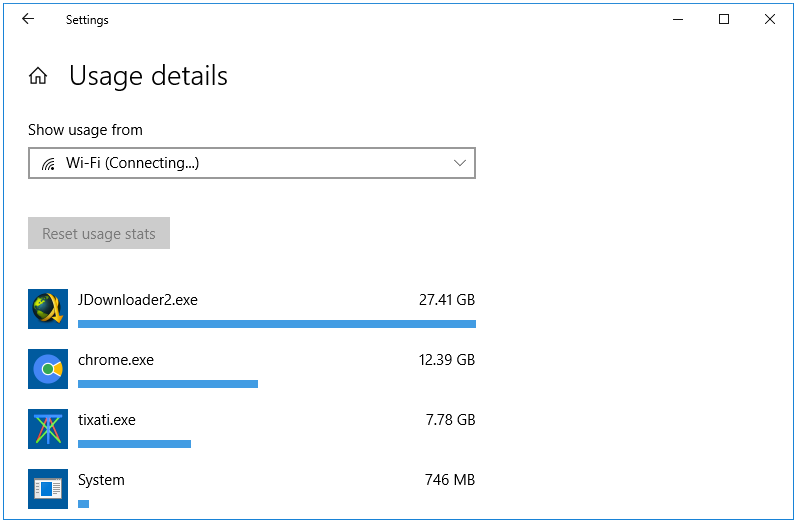 Overview – The Overview section lets you monitor or see the data usage. 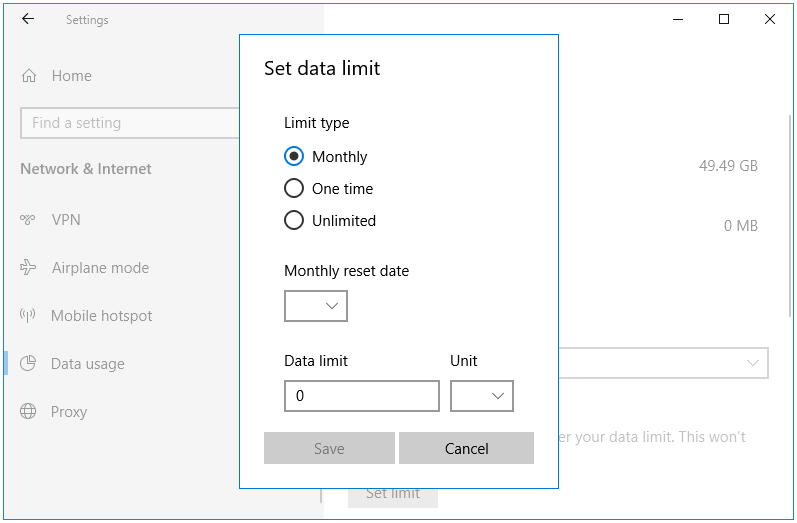 Data Limit – The Data limit section lets you set data limits on your network connection. 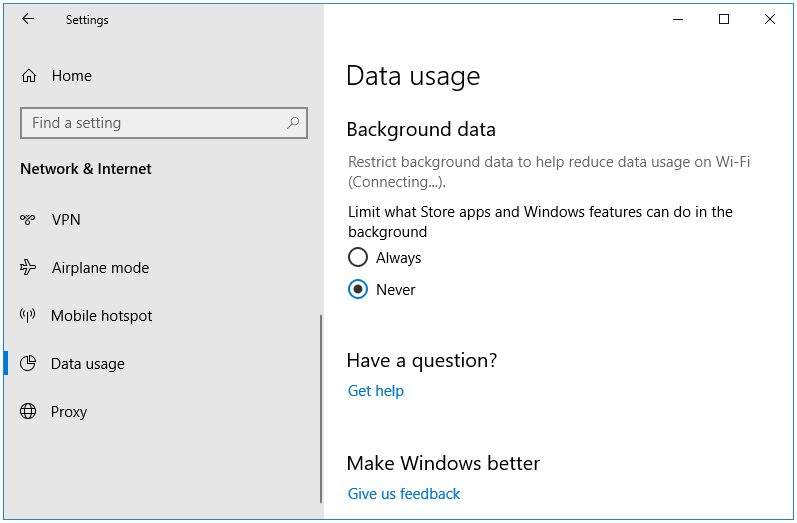 Background data – The Background data section lets you restrict the background data used by apps and software. 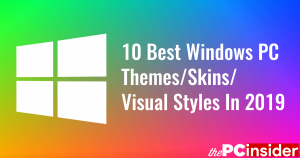 Here’s how to access and use these options. 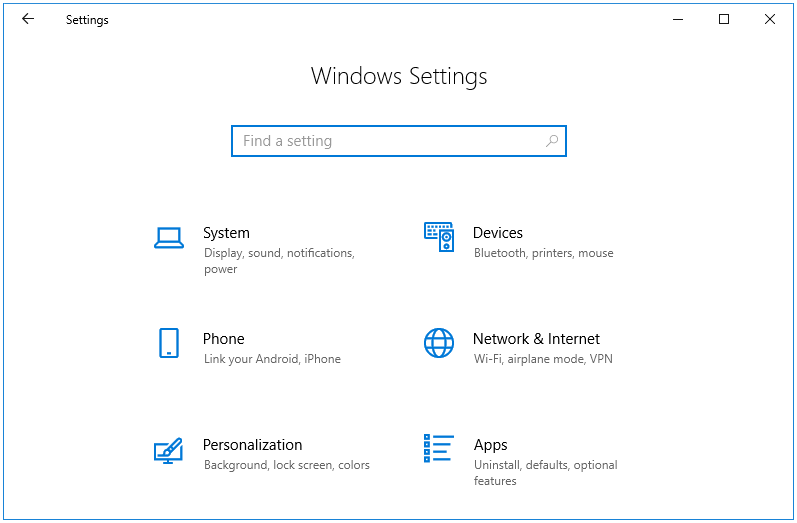 Step 1: Press Windows + I keys together to open the Windows Settings app. 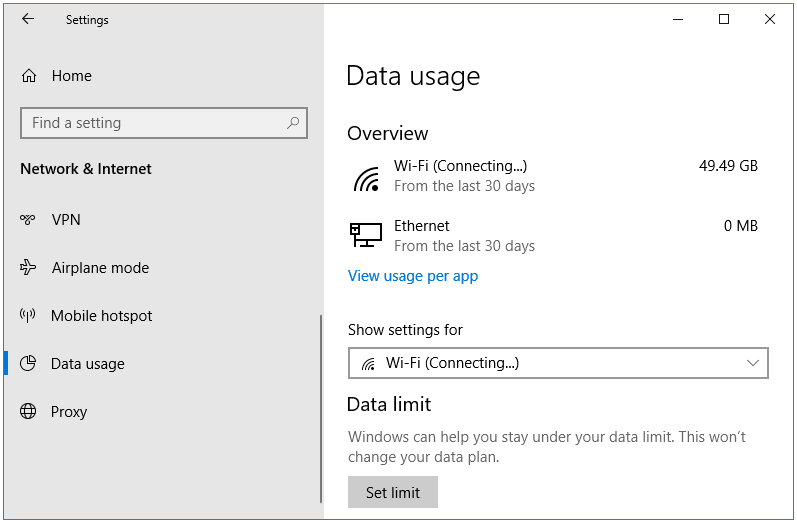 Then, in the Windows Settings app, click on the Network & Internet button. 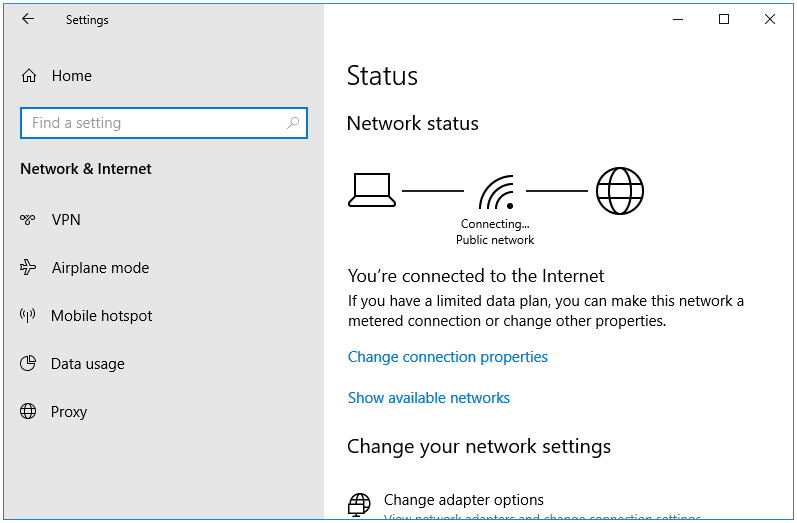 Step 2: The Network & Internet window opens at the Status tab. 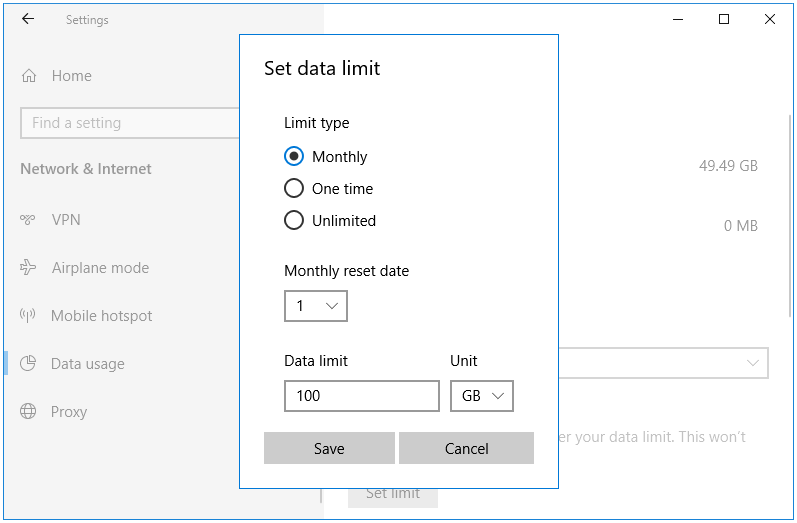 Click on the Data usage side tab to access the various data monitoring and limit options. Step 3: To monitor the data usage, click on the name of your network. In my case, the network name is Connecting… so I click that to view the data used through this network. Step 4: Clicking on the network name opens the Usage details of the various software and apps installed on the computer. 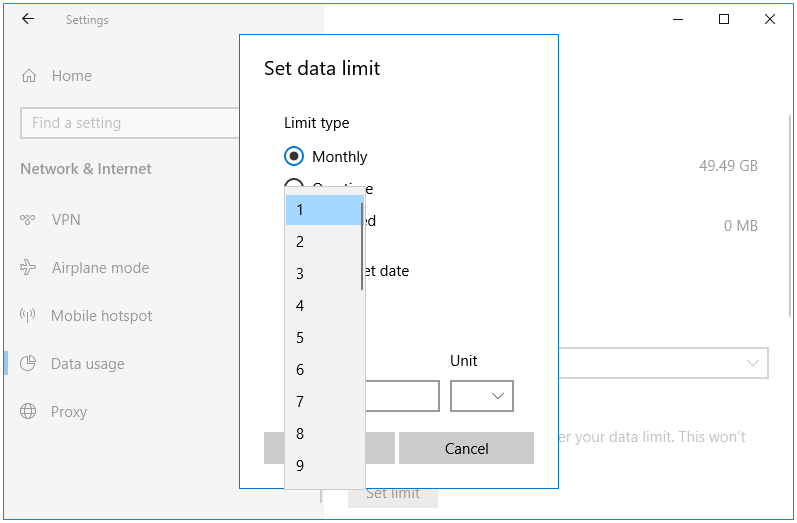 Step 5: To set data limits, navigate to the Data limit section in the Data Usage window. Next, click on the Set limit button. Limit type – You can choose from the following three options – Monthly, One time, and Unlimited. Monthly reset data – You can choose from 1 to 28 days. 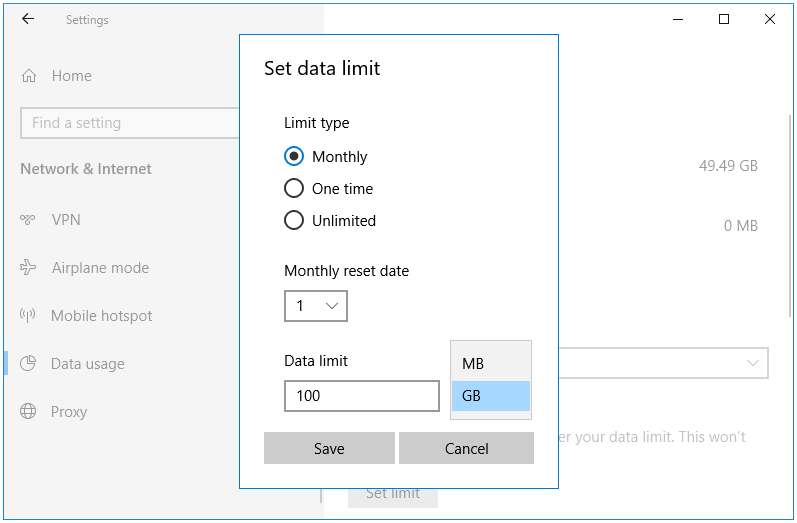 Data limit – Enter the Data that is allowed to be used. Unit – Select the Data Unit – MB or GB. Step 7: Click Save to save your configuration. 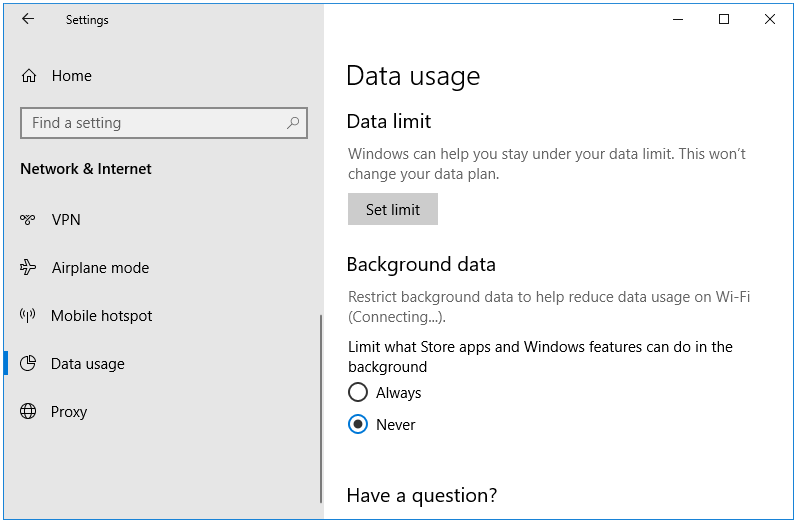 Step 8: To restrict the background data usage, navigate the Background data section in the Data Usage window. The Background data is the data used by apps and software while working in the background, especially when these programs are closed. Even though their main program window is closed, one or more services or processes of those programs are still running in the background, and performing various tasks that require connecting to the Internet and using data. Some of the examples of processes and services that cause the usage of background data. Error reporting services that send bugs and errors found in the program for troubleshooting purposes. Programs such as messengers that, even when turned off, have a service running that notify you whenever a new message is received. We have two options under this setting. By default, it is set at Never. You can select Always to always restrict background data used by the apps and software.